A reminder from the Alberta Pulse Growers about pre-harvest intervals and the Keep it Clean campaign. Nevin Rosaasen, policy and program specialist with Alberta Pulse, explains the initiative.“Keep it Clean is an information campaign for producers who are using crop protection products, so we can maintain market access to the different countries where our crops are ultimately exported,” says Rosaasen. With harvest season right around the corner, Rosaasen says that producers will be looking at their options for either pre-harvest weed control or a desiccation product. More than 85 per cent of Canada’s pulse production is exported around the world. Market Considerations for Use of Pulse Crop Protection Products found on keepingitclean.ca under pulse crops is published quarterly to inform pulse producers of the latest information concerning crop protection products and market access. 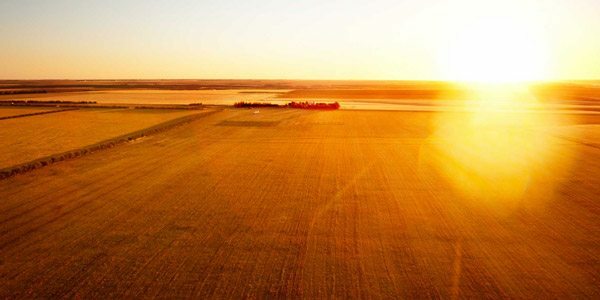 Keep it Clean is a cross Canada working group, involving Canola Council of Canada, Pulse Canada, Cereals Canada, Prairie Oat Growers Association, and Barley Council of Canada. For more information about pre-harvest intervals in Alberta pulse crops, contact Nevin Rosaasen.